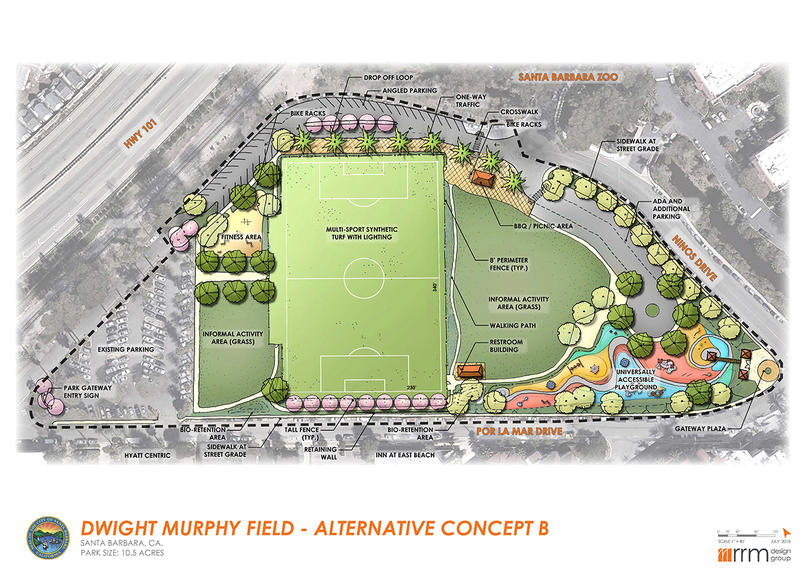 The City of Santa Barbara Parks and Recreation Department wants your help designing the future of Dwight Murphy Field. Please help by answering the following questions. * 1. 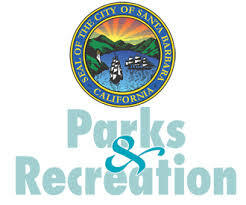 Did you attend the community meetings held at the Santa Barbara Zoo on May 31st or July 10th? * 3. Do you live or work within walking distance of Dwight Murphy Field? * 4. Do you support the idea of using a portion of the existing open grass area to provide more parking? * 5. Do you support changing the park access road to only allow one-way traffic? For example, when you drive into the park entrance near the zoo, the road may be changed to only allow a one-way loop around to the Dwight Murphy Field parking lot. Ninos Drive and Por La Mar Drive would both remain open to two-way traffic. * 6. Are there particular pieces of outdoor fitness equipment that you would like to see in the park? * 7. 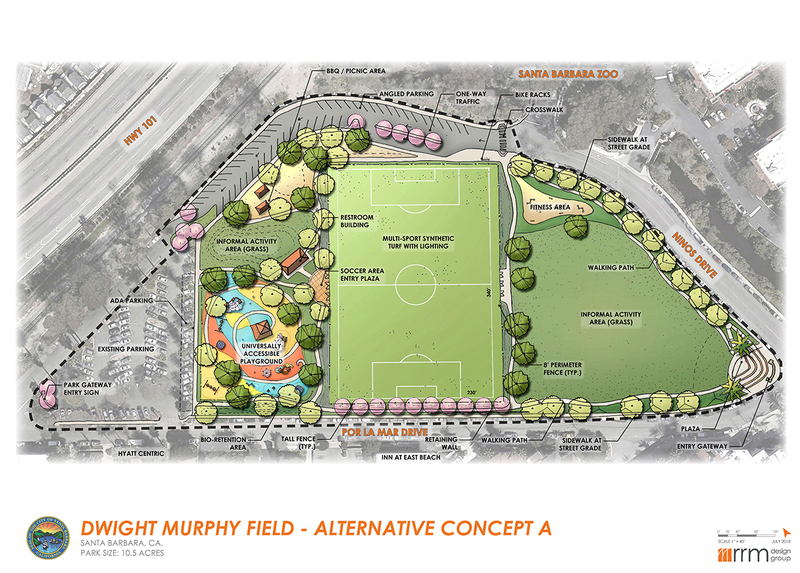 Do you, or someone in your family, play on a team or in a league that uses Dwight Murphy Field for sports? * 8. Are you in favor of a new multi-sport synthetic turf field, rather than a natural grass field? * 9. Do you support adding sports-lighting for night use of sport fields if it is designed to minimize glare and off-site spillover? If part of a future park project, the lights would be controlled by the Parks and Recreation Department, and only turned on for permitted and scheduled use. * 10. Of the two plan alternatives shown above, which one is your preference? * 11. Why did you choose Alternative A or Alternative B above? * 12. There was support at workshop #2 for adding a ballfield to Plan Alternative A. Do you prefer for the plan to include a ballfield, or leave as much informal activity area (grass) as possible? * 13. Anything else? Please tell us if you have other ideas or thoughts you would like to share. If you have questions about this project or survey, you can also contact George Thomson at GThomson@SantaBarbaraCA.gov or (805) 560-7576 directly.